Akrapovic exhaust systems no longer need introduction. They are the best on the market. That’s it. 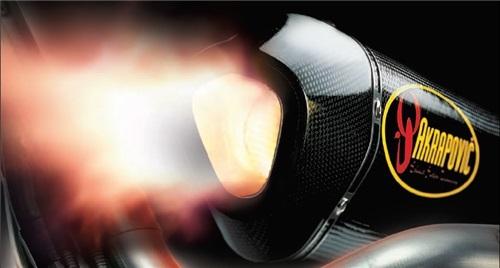 Anyone interested in motorbike exhausts knows that an Akrapovic exhaust is what your bike truly needs. The brand Akrapovic always remains up-to-date. Because standing still is going backwards. The brand aims at continuous improvement and optimization in terms of sound, look, power, finishing touch and so on. That is why the motorbike, offroad, cross, maxi-scooter lines have been thoroughly revised. Going for Akrapovic is going for quality:• Akrapovic exhaust systems complies the strictest noise standards and are e-certified, with the exception of the race models. You will find more info on the Akrapovic website. If you are looking for a specific motorbike parts or accessories, we would like to redirect you to their respective web page. And if you want to browse more available models in our web shop, click on motorbike exhausts or scooter exhausts. Feel free to ask for our promotions and special deals. And contact us for more details.